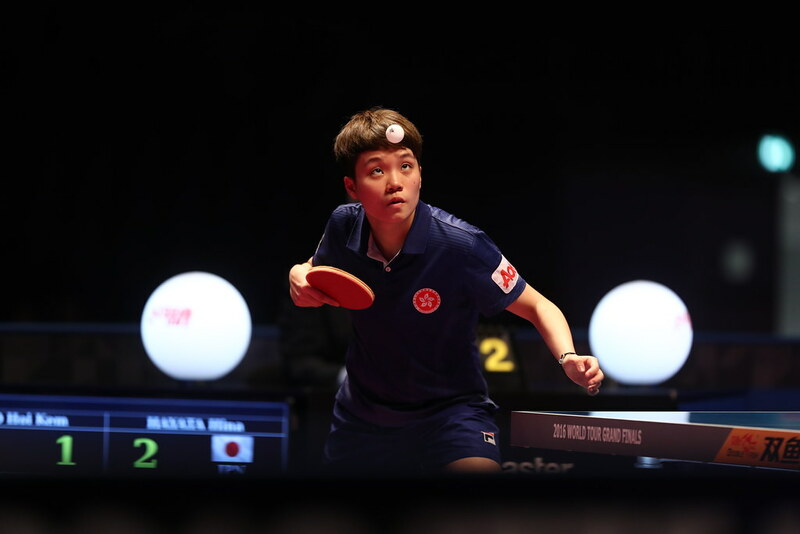 Impressive performances, England’s Tin-Tin Ho and Zhang Xuan, the respective third and fourth highest rated players in the first phase of proceedings at the Stag 2017 European Under 21 Championships in Sochi, Russia; both underlined their status on the initial day of action, Thursday 2nd February. Three matches completed, it was for each player three wins. Tin-Tin Ho, the only pen-hold grip player on duty, beat Austria’s Karoline Mischek (12-10, 11-7, 4-11, 11-4, 11-5), having earlier in the day succeeded against Turkey’s Simay Kulakceken(11-3, 11-4, 11-7, 11-1). Two wins to her credit, Tin-Tin Ho accounted for Finland’s Annika Lundström (11-5, 11-2, 11-7, 11-4) to reserve first place in the group. Second place was secured by Simay Kulakceken. After losing to Tin-Tin Ho; she beat Annika Lundström (11-7, 13-11, 11-4, 11-7). Meanwhile, for Zhang Xuan, likewise it was progress but in her opening contest she faced a very severe test. She had to recover from a three games to one deficit to beat Estonia’s Airi Avameri (11-13, 4-11, 11-8, 10-12, 11-9, 11-7, 11-4). A tough hurdle overcome, the Spaniard beat Poland’s Anna Wegrzyn (11-3, 11-5, 11-9, 11-3), followed by success against Vera Van Boheemen of the Netherlands (5-11, 11-3, 14-12, 13-11) to end the day on a high note. Anna Wegrzyn reserved second place and thus a passport to the main draw; she accounted Vera Van Boheemen (11-6, 11-5, 11-9, 11-7), prior to ending the hopes of Airi Avameri, who must have ended the thinking what might have been. After having overcome Vera Van Boheemen (11-4, 11-6, 11-7, 11-7), the Estonian once again suffered after winning the first two games and once again experienced defeat in a full distance duel (1-11, 9-11, 11-3, 11-8, 11-9, 12-14, 11-5). Difficult times in the opening contest, it was the same for Kim Vermaas of the Netherlands; the fifth highest rated player on initial phase duty. She needed six games to beat Italy’s Jamila Laurenti (12-14, 11-7, 11-9, 9-11, 11-8, 11-6), before recording straight games wins over Norway’s Ilka Doval (11-8, 11-6, 11-4, 11-8) and the Slovak Republic’s Ema Labosova (11-5, 11-4, 11-8, 11-7). Second place in the group went to Ika Doval; she beat Ema Labosova in five games (11-9, 11-6, 11-13, 11-9, 11-6), before accounting for Jamila Laurenti (9-11, 11-8, 11-6, 10-12, 11-3, 11-8).